We are in the throes of summer, and what better way to celebrate it by drinking (unless you’re sober, in which case that is a TERRIBLE IDEA). 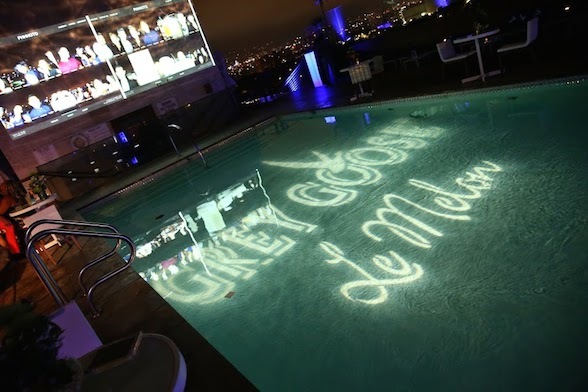 Conveniently, Grey Goose has just debuted a new melon variety of its much lauded vodka, and to celebrate this joyous occasion, Urban Daddy threw a party earlier this week fit for a king. Well, a Los Angeles king. And I don’t mean a hockey player. Yes, Grey Goose LE MELON (as it’s called) derives its flavor from the cavaillon melon, a melon so prized that kings have bartered away their most valuable possessions for just a taste — at least according to the press release, and as we all know, press releases never lie. Anyway, the Grey Goose people took a hold of the whole “king” thing and ran with it, inviting Vine superstar KingBach to host the shindig at the Sixty Hotel in Beverly Hills. Yours truly was also in attendance, and I’m proud to announce that I neither fell in the pool nor fell down any staircases. This is a major win for my cool cred.